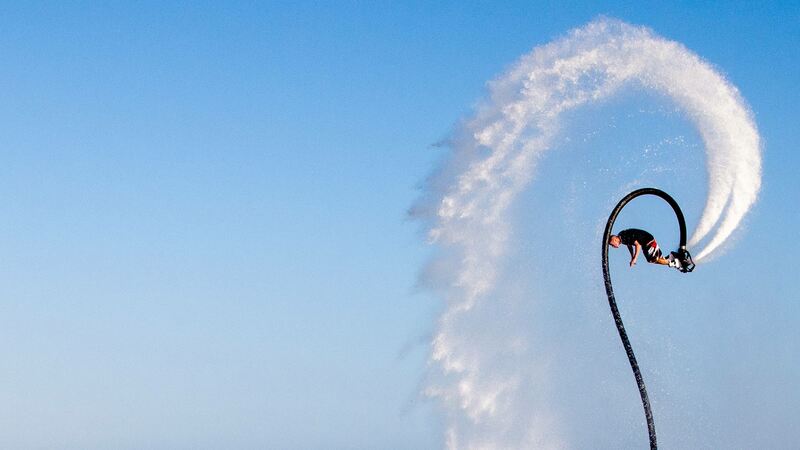 Flyboard, Jet Ski and Ninebot by Segway Tours in Garrucha, Mojacar and Vera Beach, Almeria. ... AND WE ALSO DO KITE-SURF, WINDSURF AND OPTIMIST COURSES, PADDLE SURF, KAYAK, BANANA WATER SLED AND RENTAL OF BOATS (WITH AND WITHOUT SKIPPER). WE ARE IN GARRUCHA, ALMERIA. If you are looking for a new and unique experience come and join us! With a variety of tours we will take you on a ride through one of the most beautiful coasts of Spain, Almeria. 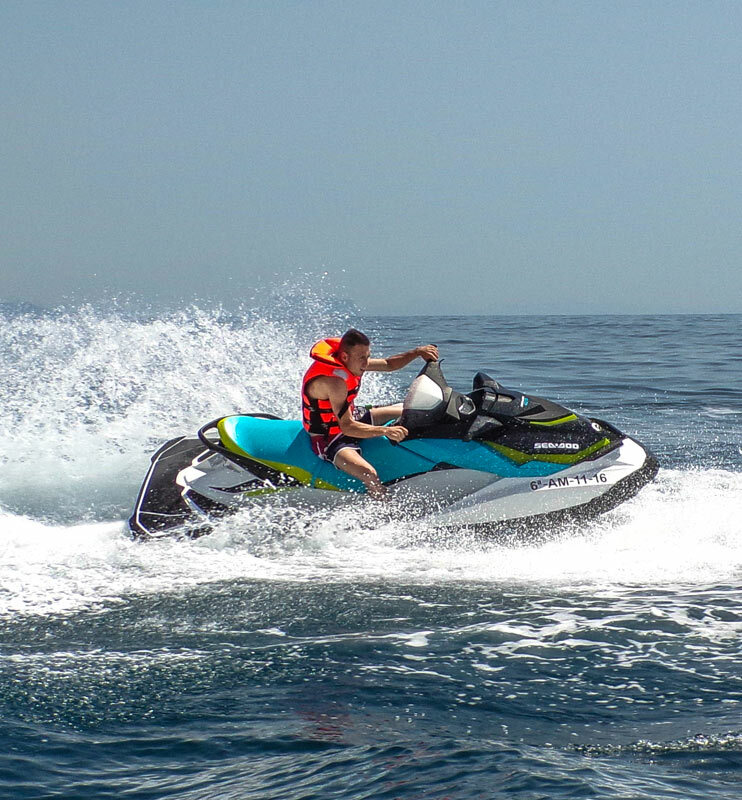 We guide you with an instructor, and you'll be allowed to ride your own jet ski on the Sea and enjoy the amazing views of the Cabo de Gata's Natural Park, Carboneras, Mojacar, Garrucha, Vera, Villaricos and San Juan de los Terreros. With the photos that we take, you will bring back home a magical experience that you will never forget. 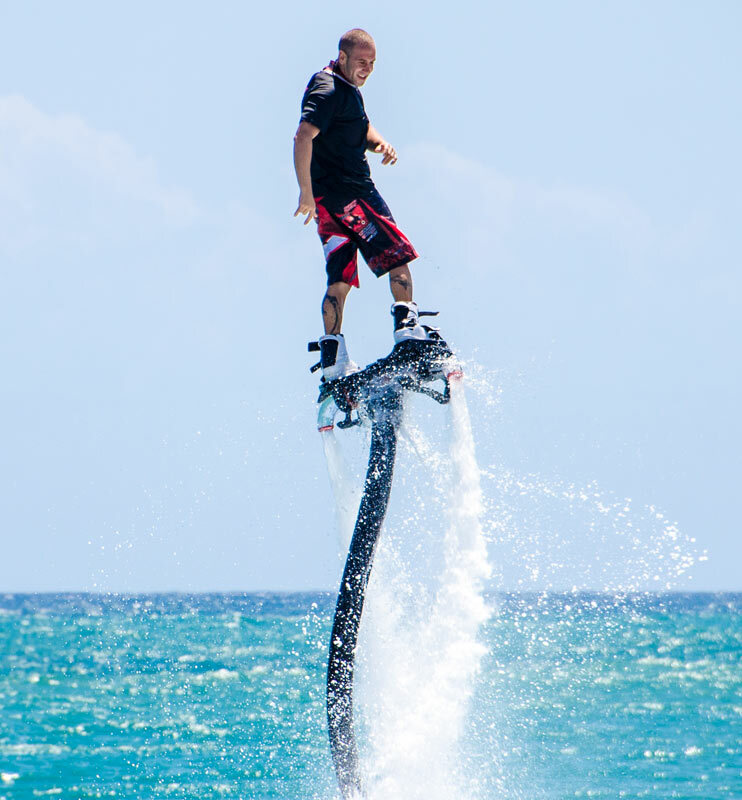 THE FLYBOARD EXPERIENCE. FLY AS A BIRD! The sensation of flying over the sea is a unique sensation that you can experience with us. Our expert instructors will help you to experience one of the best feelings of your life, in only a few minutes after taking the course you will be flying over the water! 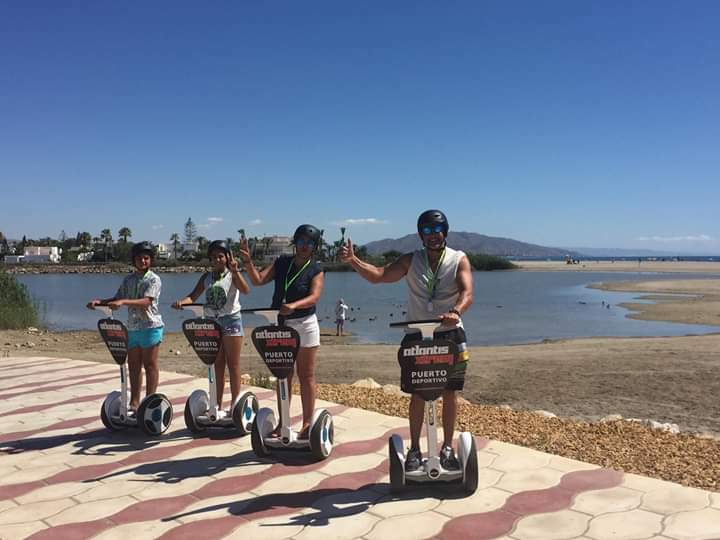 Go for a ride by the Mojacar, Garrucha and Vera coast in our Ninebot by Segway Tours, it's the most innovative electric personal transport in History. With our routes you will be able to visit in a different way the Castle, the port, the promenade and the beaches of Vera and Mojacar. When we arrived they looked after us in a nice manner and we did the plan that includes 15 min of Flyboard and 30 min of Jet Ski. A really good experience and easy for everybody. A wonderful sensation that we fully enjoyed, they recorded and took photos of the ride. I'll repeat! A great experience and hilarious too, the guys are very kind and attentive, I really had a very good time, and I already want to come back in the future. Thanks!! CONTACT US AND COME TO LIVE YOUR SUMMER EXPERIENCE! WHICH KIND OF ACTIVITY WILL YOU LIKE TO DO? ARE YOU READY FOR YOUR ATLANTIS XTREM EXPERIENCE?